I love sushi. 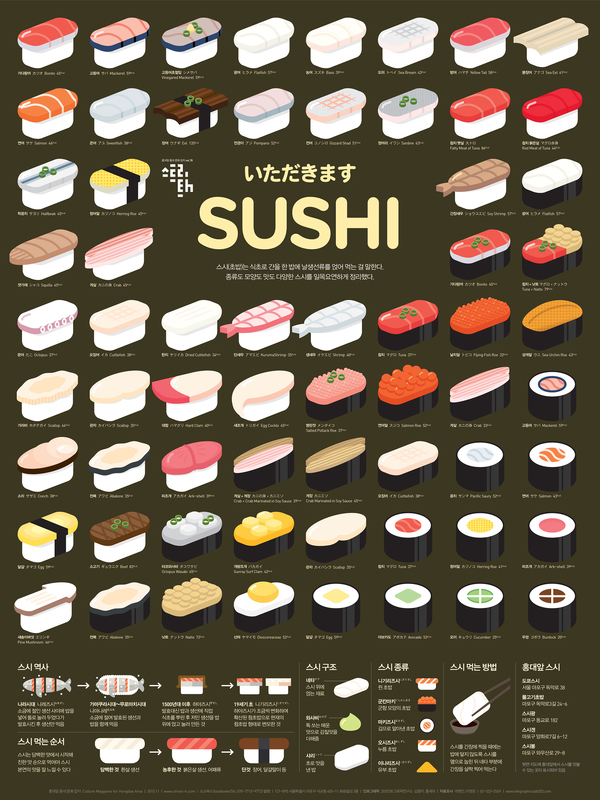 But that is only part of the reason I enjoy Sung Hwan Jang’s wonderful sushi infographic. The graphic’s eye pleasing and cartoonish simplcity hit me right in the Chris Ware. Sung has put together all kinds of fun graphical posters detailing everything from pizza to constellations to camping to the Bauhaus art movement. I’d love to get this poster for my kitchen but I’m unsure how to purchase it from the Korean websites. This awe-inspiring photo of storm clouds and lightning, by Joe Randall, was featured on NASA’s Astronomy Photo of the Day website last week. 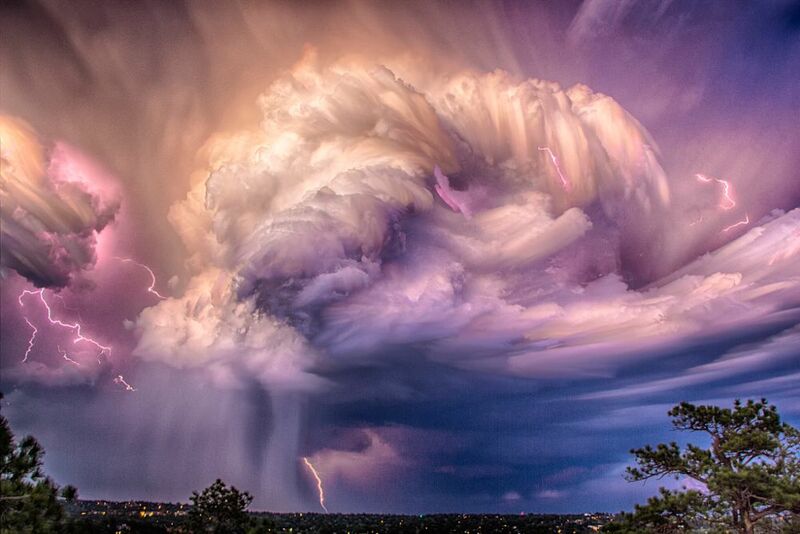 The image was captured over Colorado and consists of around eighty stacked photographs. During all six of NASA’s manned lunar landings, astronauts were armed and trained to use modified Hasselblads. During the Apollo missions, NASA’s astronauts took photos of moon landings, moon walks, the lunar surface, the horizon, and the Earth with these cameras. The results included over 20,000 photographs by 13 astronauts over six lunar landing missions. This huge trove of photographs are cataloged at The Project Apollo Archive. NASA also released a large number of these photos on Flickr back in 2015. The photo above is one of my favorites from this collection. Though shot originally for scientific purposes, many of the photos have an extraordinary aesthetic value that encompasses an inadvertently artful composition. The fine folks at T. Alder Books have sorted through the nearly 15,000 of these photos and came up with 45 images that consist of “unintended artful compositions” and a “beautiful, deft outtake quality,”. The collection will be released in a book entitled The Moon 1968–1972 that will be released later this month. At a time when archival images are often hastily assembled into digital galleries that get passed around briefly on social media, it’s especially satisfying to sit with an affordable ($18), carefully edited, designed and printed archive of photographs of historical significance and esthetic value. Texts include excerpts from a speech President John F. Kennedy made about the Apollo program, and from an E.B. White story for The New Yorker recalling the first moon landing. Jason Shulman has created a series of photographs by pointing a large format camera at a large monitor for the duration of a movie, effectively flattening down an entire film into a single image. The photographs end up looking like impressionist paintings with only small details and color schemes recognizable from the original work. I think they’re beautiful. UPDATE: Attempting to play the 7″ vinyl single ‘Ice Cream’ by New Young Pony Club using an ice cream cone and attempting to play track one and two from Side A of the 1966 LP ‘The Band I Heard In Tijuana Volume 3’ by Los Norte Americanos using a lightly salted tortilla chip. 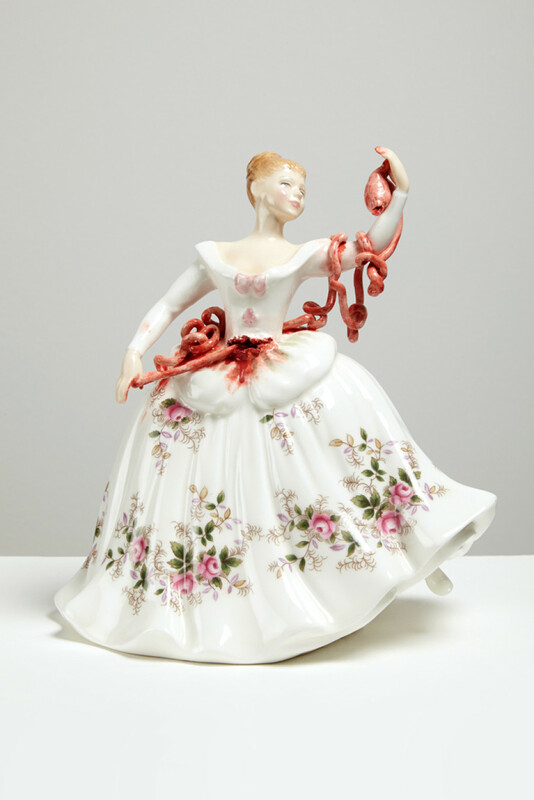 Jessica Harrison takes old ceramic statues of fancily-dressed women and disembowels them. These found porcelain figures, that are typically seen occupying a special place your grandmother’s credenza, are reimagined in the most gory of ways. The juxtaposition of the prim statuettes displaying their decapitated heads and freshly opened throats without changing their demure expressions is striking. Despite having appeared to have been subjected to an awful violence (perhaps their own), the Georgian and Victorian-era figures remain decorous figures. The results are gory and macabre while also being kitsch and playful. There is a great interview with Harrison about the meaning behind her work on The Skinny. Many of these images can be purchased as signed and numbered prints on Harrison’s website. This weekend I visited the Marilyn Minter retrospective at the Museum of Contemporary Art Denver (MCA). All the work was captivating in beautiful and disgusting way. Her juxtaposition of glamor and grit, of the revealing and the disturbing, and of the intimate and the amplified shown throughout the entire show. The title Pretty/Dirty couldn’t have been more apt. A great review of the exhibit can be found at Hyperallergic. I was more impressed with her paintings than her photographs or videos. 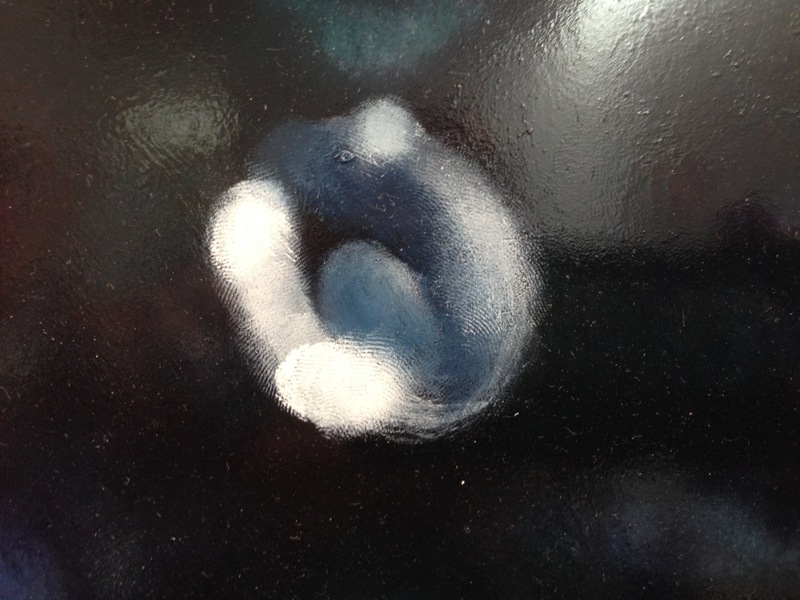 Above is a full-sized photo of Minter’s painting “Pop Rocks”. It’s a gigantic 9 feet by 15 feet. Outside of their sheer size and incredible detail, I’m fascinated by the process used to create them. The paintings start as heavily mixed and manipulated Photoshop negatives taken from earlier photo shoots. This new image is then turned into paintings created through multiple layers of translucent enamel paint on aluminum giving a rich hallucinatory look. 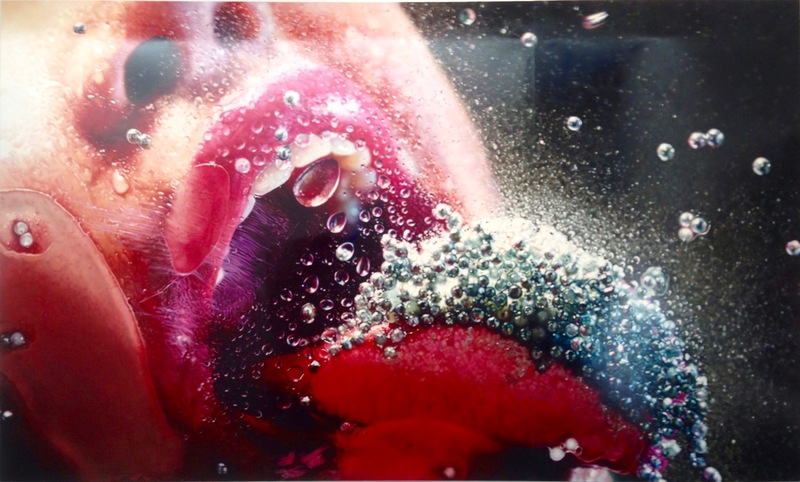 The Marilyn Minter retrospective will be showing at MCA through the month so hurry up and go see it while you can. You can find a few more of my photos from the exhibit below.